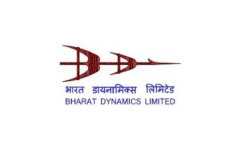 Business description - Bharat Dynamics is one of the leading defence PSUs in India engaged in the manufacture of Surface to Air missiles (SAMs), Anti-Tank Guided Missiles (ATGMs), underwater weapons, launchers, countermeasures and test equipment. The company is the sole manufacturer in India for SAMs, torpedoes, ATGMs. It is also the sole supplier of SAMs and ATGMs to the Indian armed forces. Additionally, Bharat Dynamics is also engaged in the business of refurbishment and life extension of missiles manufactured. It is also the codevelopment partner with the DRDO for the next generation of ATGMs and SAMs. The company currently has three manufacturing facilities located in Hyderabad, Bhanur and Vishakhapatnam. Bharat Dynamics IPO allotment status is now available on Alankit Assignments' website. Click on this link to get allotment status. Today is listing day. The day is not good as trade war. Global markets are down 1.5%. Traders sell as u get profit. Long term investor needs to be invested for a year atleast for 8-10% gain. So SELL as u get opportunity. I got allotment, is this good to have long term or sell on listing? can any body suggest? I think its good for both the purposes either you sell all,some or hold for long term. This forum Looks fair Forum…..Imandari dikh rahi hai….. I got allotment, listing on 23 March can we sell in greay market any one about how to sell in greay market and what prediction? Shares alloted to me ….Happy to join fundamental Company. where did you checked?I tried to check on sbismart & online sbi site but nothing is there. Allotment happened. Waiting for refund. Hoping for good opening on 23rd March. Aaj ho raha hai allotment and refund both, I just got message and mail from BSE. Not bad . Listing gain definately. But very sort gain.